What is Amazon Order Management? 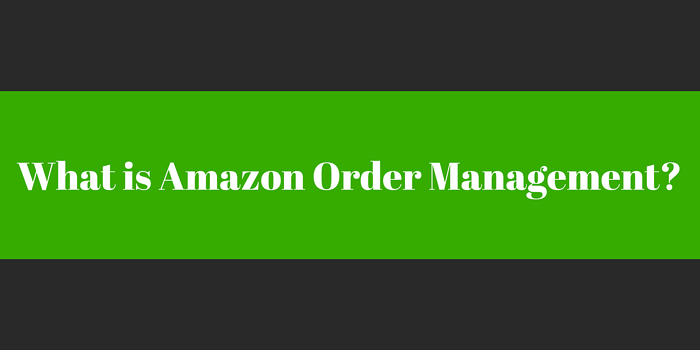 The Manage Orders tool in Amazon gives you an overview of the current orders in your Amazon seller account. You can also look at and update the details of a specific order. For example, you can confirm you have shipped the order. It is important to manage this part of your Amazon account carefully. If you don't confirm you have shipped an order within 30-days, for example, Amazon will cancel it and you won't get any money. This applies even if you have shipped the items. As well as viewing a list of orders and specific order details, you can download order reports from the Manage Orders tool in Amazon. There are also search and filtering options to help you find the specific order you are looking for. For example, you can filter all unshipped orders. Print a packing slip which includes an address label that you can cut off and tape to the package you are shipping. The Manage Orders tool in Amazon gives you everything you need to fulfil a customer's order and update your seller account, but it does get complex to manage if you sell across multiple channels. For example, you may list your products on Amazon as well as other marketplaces, as well as selling the products on your own website. Managing all these orders to ensure they are properly fulfilled does get difficult. Also, managing inventory levels is challenging and can lead to either selling more inventory than you have or missing out on sales. The latter happens when you are cautious. So, take steps not to oversell, which can result in losing opportunities. Amazon order management software pulls your orders from multiple channels into one dashboard so you can manage them together. You can manage the shipping of all orders, sync inventory across all channels, and more. They also provide more detailed information and analytics. Amazon provides analytics on the products you sell through its marketplaces, but with third-party software, you can see how various channels compare, what is performing well, and what isn't. You can even drill down to product level profitability by channel on most of the solutions currently available. In other words, third-party solutions help you manage product orders more efficiently while also adhering to Amazon’s rules and improving your Amazon seller rating. Selling on Amazon is as much about reputation as it is about price and the quality of your product listings. This means delivering an excellent level of customer service every time. That starts with managing a customer’s order efficiently as well as following through on the promises you make in your listing. Both Amazon’s Manage Orders tool and the various third-party tools that are available will help you do this.